Spices are the major part of our civilization. Seems to be very simple but are highly beneficial for a smooth running life. Not only for taste purpose, but these spices accompanies with certain benefits and uses which are usable in day-to-day lives. Here we will be talking about one of these only. It is called ‘Black pepper’. 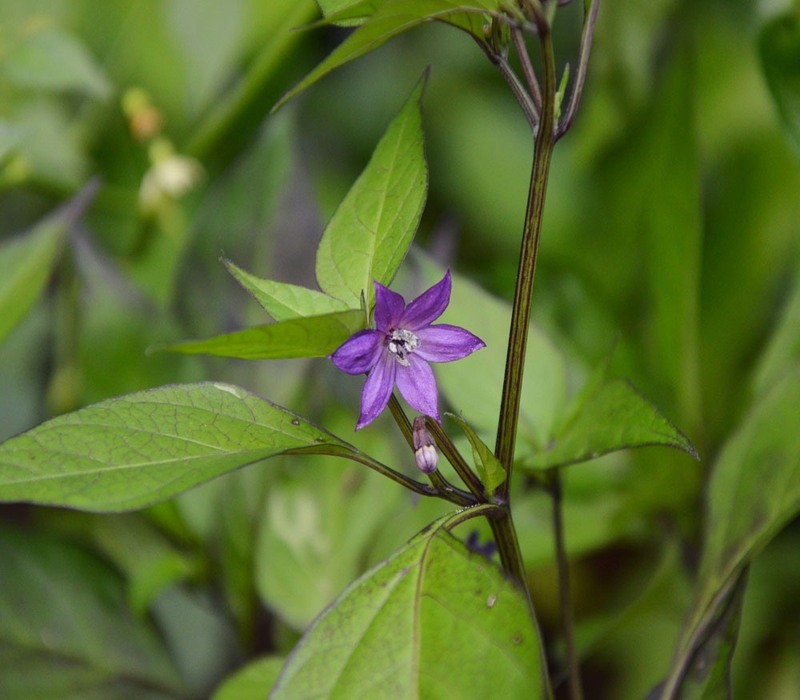 It is a flowering vine cultivated for its fruit which is usually used as a spice and for seasoning. 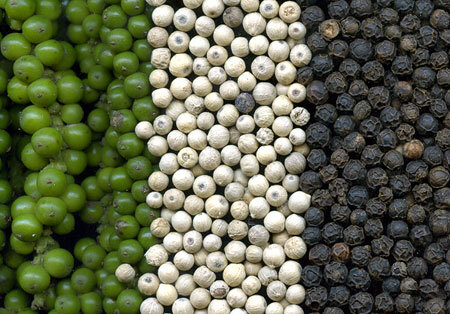 The Black Pepper is a creeper that has leaves similar to those of betel. Tendrils come out of the knots in its stem that catch on to any stem or branch and spread where ever it can. It also grows in wild in some forests. It is also planted in hot or wet regions of South India. 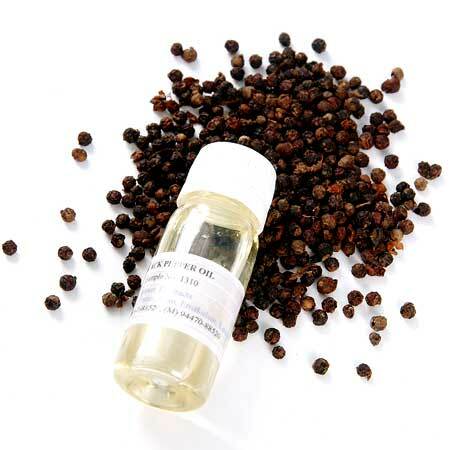 Peppercorns are the small seeds which gets lately developed as the matured Black Pepper. Green pepper is the unripe fruit whereas the White peppers are ripe fruit seeds of it. Generally it yields two crops in a year; first in August-September and the second in March-April. The half-ripe fruits becomes black pepper; fully ripe ones are soaked in water and when the skin is removed by rubbing with hands it becomes white pepper. 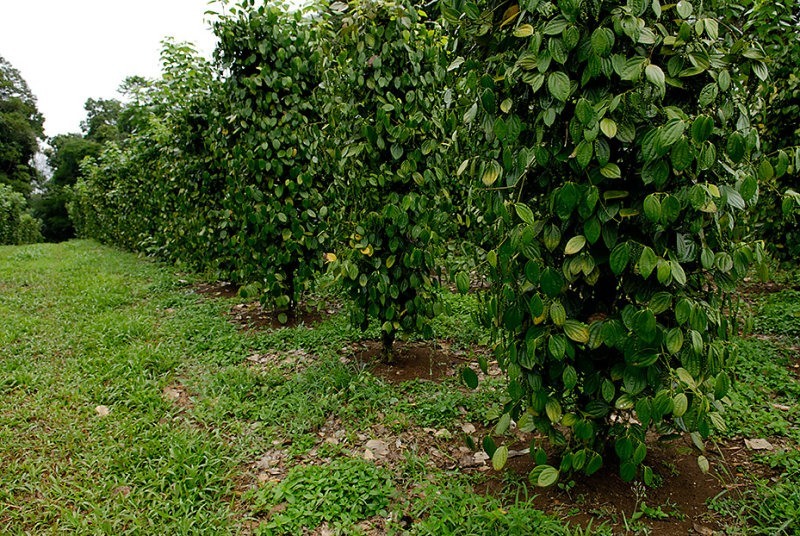 It is a bushy creeper spreading on the ground or climbing on the trees. It bears leaves which are 5-6 inch tall and 2-5 inch wide. It bears small purple-white flowers. The whole creeper is bottle green in colour and resembles pure forest. 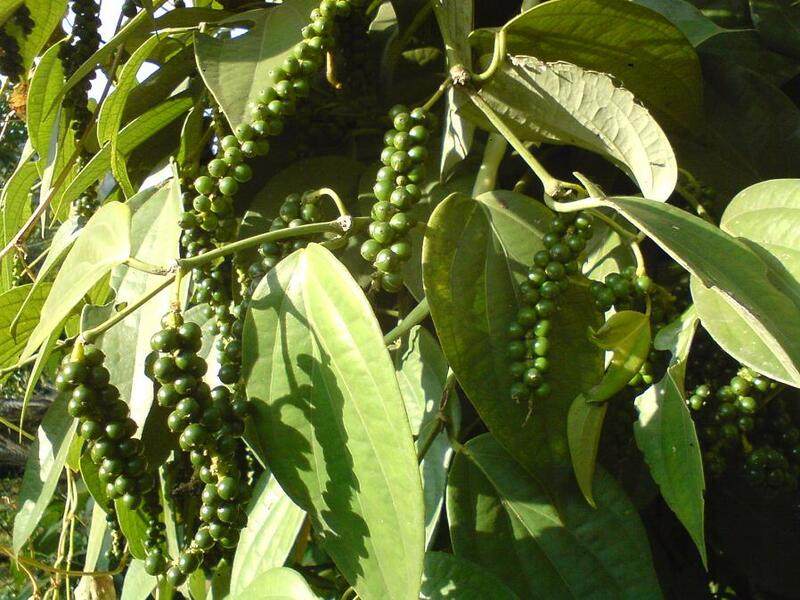 Black Pepper belongs to kingdom Plantae and ‘Piperaceae’ family. Its binomial name is “Piper nigrum”. In Hindi, its is called Kali Mirch whereas in Sanskrit it is also called Marich, Yavaneshtam, Shirovrittum and so on. It contains alkaloids like piperin, piperidin and chavicine. Give black pepper with ghee and sugar every morning. It keeps the mind cool and also improves the eyesight. 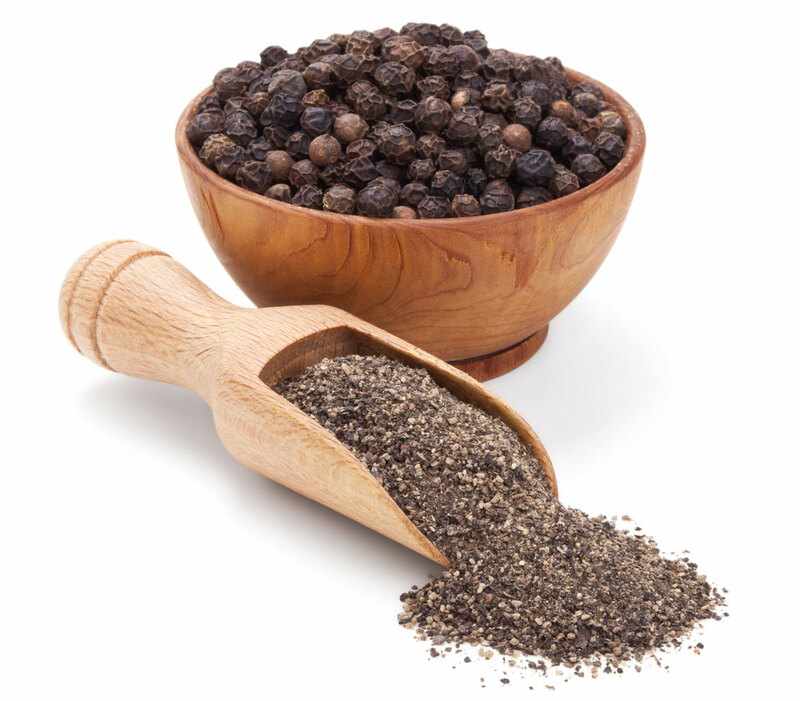 In case of boils on eyelids, grind black pepper in water and apply the paste on the boils. It heals the boils. Give 1/2 gm black pepper with 1 teaspoon of pure ghee. It cures all types of eye disorders. Take 1-2 gm black pepper with 3-4 leaves of jambol or guava or poppy. Cook these so that the water gets half. In addition with toothache, it also cures throat disorder. Mix 1 part of chilli, 1 part of roasted asafoetida, 2 parts of black pepper and 2 parts of pure camphor to it. Prepare tablets of 250 mg each. Give 1 tablet at an interval of half an hour. If given in early stages of cholera, it cures the problem completely. Mix 1 gm black pepper and 1 gm roasted asafoetida and add 3 gm opium in it. Mix it well with honey and prepare 12 tablets. Give 1 tablet at an interval of 1 hour. Do not continue this for long time; it can even cause dysentery. In case of stiffness in tongue, apply the powder of black pepper on the tongue. Mix the black pepper powder in any pain relieving oil and massage it on the affected part. In case of normal fever, boil its 1-3 gm powder with 20 gm sugar in 1/2 litre water till water is reduced to 1/8th. In case of high fever, grind 5 black pepper, 1 gm Ajowan and 10 gm green tinospora in 250 ml of water. Strain the solution and give this to the patient with honey. It cures fever due to indigestion and also cures swelling of stomach. Mix 2-3 gm black pepper powder with honey and ghee. It helps to release phlegm from lungs. Cook black pepper powder with cow’s milk and give this to the patient. It is beneficial in bronchitis and asthma. In case of severe and difficult cough; take 2 part black pepper powder, 2 part peepal powder, 4 part bark of pomegranate. Grind them and form fine powder. Mix 8 parts jaggery and prepare tablets of 1 gm each. Give 1-1 tablet thrice a day. In case of throat disorder, 2-3 black pepper must be sucked. It gives immediate relief. Massage with the medicated oil of Black pepper. It is highly beneficial in curing gout, arthritis, paralysis and itching. Mix powder of 10-12 seeds of custard apple and 5-6 black pepper in mustard oil. Apply this oil in the roots of hair at night before going to bed. Next morning, wash and clean the head. It kills the lice in head. In case of hair fall due to dandruff, grind black pepper with onion and salt. Apply this on head; it cures hair fall due to dandruff. Give 2 gm powder of black powder with warm milk and sugar. Or give 7 black peppers to be swallowed. Mix 50 gm curd, 15-20 gm jaggery and 1 gm black pepper powder. Give this mixture 3-4 times a day. It cures cold. On empty stomach, give sour curd with 1 gm black powder in it. Give this thrice a day. It cures Hysteria. Mix a teaspoon of black pepper and lemon seeds. Grind it with water apply to your scalp and hair. It will leave your hairs lustrous, shiny, soft and healthy. Mix a teaspoon of black pepper powder with 1 teaspoon of salt and 1/2 teaspoon of mustard oil. You can also rub your tooth with black pepper oil with lemon drops mixed with it. Use it as a tooth powder and rub your tooth and gums with this in a gentle manner. It removes plaque and also prevents tooth decay. 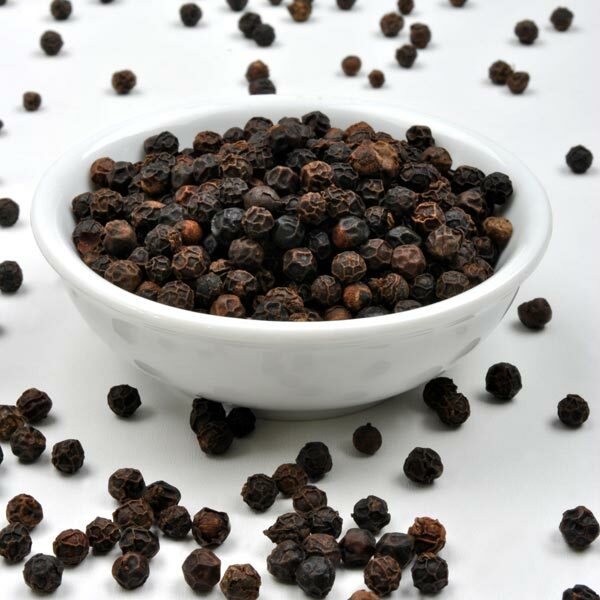 In this way we saw numerous benefits of Black pepper. There are many more advantages of these small granules types spices. So, go green and live well!